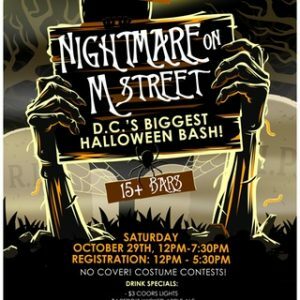 Thousands of revelers in costumes will hit up more than a dozen bars this weekend as part of an annual Halloween bar crawl. The 18th “Nightmare on M Street” bar crawl kicks off Saturday, Oct. 29, at noon. The bar crawl caused some controversy last year after “drunk and disorderly” partygoers left garbage and vomit strewn across parts of Dupont and downtown. 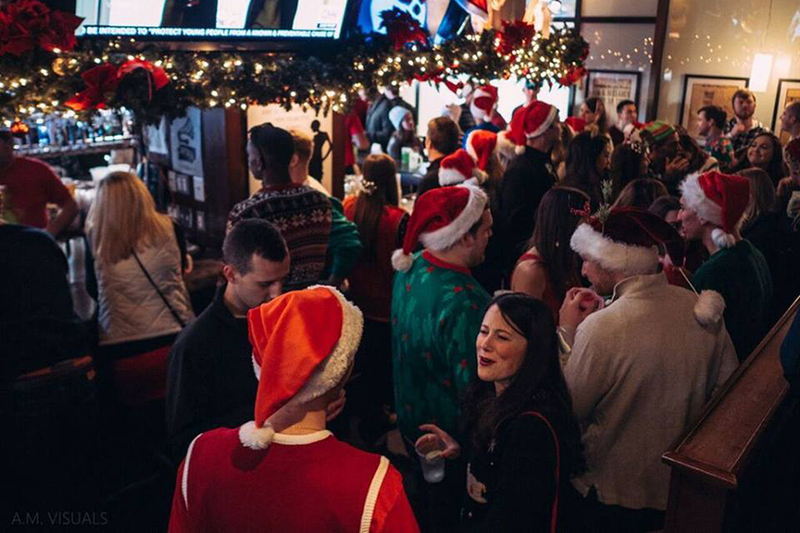 The event was so controversial that it even led to new ABRA regulations regarding bar crawls. 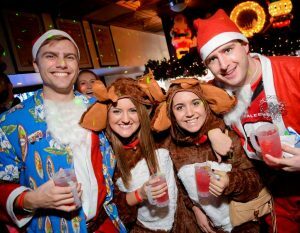 This year, the bar-hopping event will be significantly scaled down, likely due to those new regulations. Organizers are only selling 2,700 wristbands for this year’s bar crawl. Additionally, the total number of bars participating in this year’s event is about half of what it was last year. 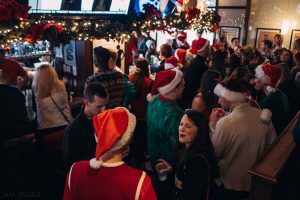 D.C.’s ABC Board wants to hear from the public on whether it should solidify new emergency and proposed rules regarding bar crawl applications. The rules, which were put in place last month, establish a new event license fee, put more responsibility on organizers to prevent littering and give the board more authority to veto bar-hopping events. The new rules also bar organizers from “promoting excessive drinking” and selling unlimited drink tickets, among other things. 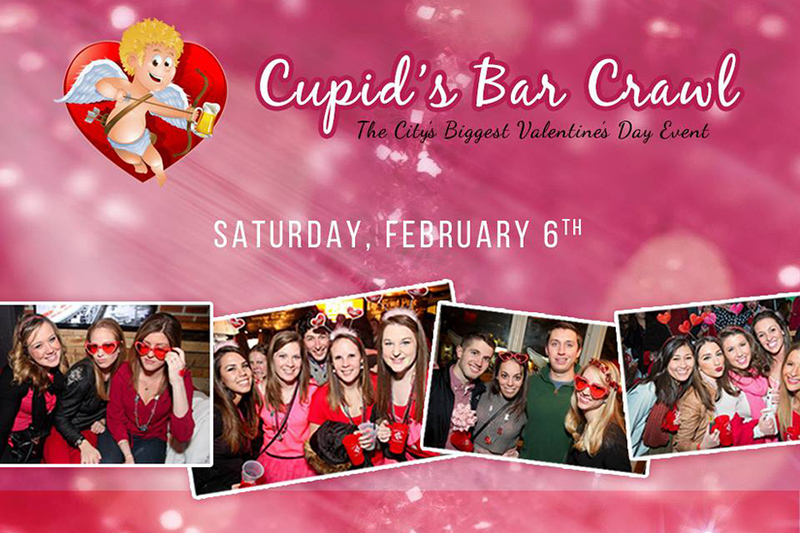 Cupid’s Bar Crawl, an annual pub-hopping event previously scheduled to take place across Dupont Circle tomorrow, will no longer move forward as planned due to opposition from D.C.’s Alcoholic Beverage Control Board. You’ve read the book and you’ve seen the movie(s), so now it’s time to “Get Your Gatsby On” with the Shaw Main Streets Roaring 20’s Bar Crawl. Happening this Saturday, June 8, from 1 to 7 pm, this is a fun way to explore your local bars and restaurants while also supporting the preservation and restoration of the Shaw neighborhood. Organized by Shaw Main Streets, they promise “an afternoon of cocktails, friends, and fun, Gatsby-style.” This is the third bar crawl that Shaw Main Streets has put together and given the theme of the crawl, they encourage period costumes, though they are definitely not required. There are six different locations participating in this event, all located in lower central Shaw. Each will have on hand signature drinks, cocktails and food specials. There will also be raffled prizes at each stop along the way. Tickets are $15 in advance and $25 at the event. Purchase tickets for the bar crawl here. The Washington Examiner nabs a quick interview with Jack Menase, owner of Melody Records. They cut right to the chase, starting out the interview with the “why are you closing” question. Unfortunately, it’s been asked and answered, and it seems that record stores may be going the way of bookstores. In a day where your personal phone can let you preview music, download a book or follow playlists of everyone in your social network, it seems hard to fathom that our beloved indie hideaways stand much of a chance against pocket rocket tech. Poor Timing for WMATA’s Fare Hike? It may never be a good time to raise the Metro fares, but this may be particularly poor execution on their part. TBD chronicles all of their misadventures last week, from a suicide to stunning workday delays and a host of other issues. Now, after we’ve already found out that they essentially made up the length of time for escalator repair at Dupont Circle, they have advised us we can pay more for the pleasure of riding Metrorail. It made me think of this recent piece by the Washington Post on our previous system…which may or may not have been less reliable. If you are a disabled motorist, you have been able to park at meters for free. Not anymore. DDOT announced the policy change on Tuesday, citing widespread abuse of the policy as the reason for its repeal. New ‘red top’ meters will designate meters that serve disabled drivers; they still must feed the meter, but get twice the time. MyFOX broke the story and cited several downtown workers that said the excessive number of hang tags made it difficult to find parking for workers or customers. 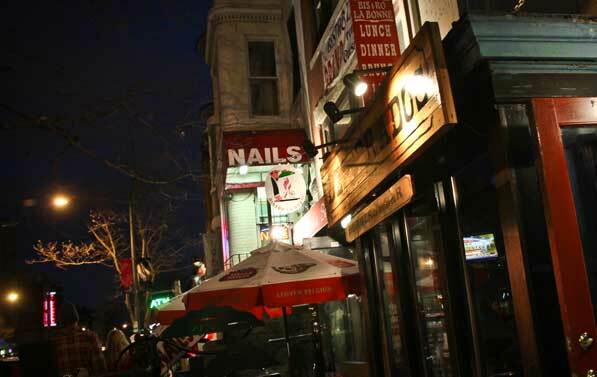 U Street Girl has some great snaps of what U Street looked like back in the day. She culled them down out of Lydia DePillis’ full link and interview with the Streets of DC author in the Washington City Paper. I know I’m a bit of sappy sentimentalist, but I think quite a few of these look much better than the buildings that took their place, either in construction or color choice. Hey pea green and mustard yellow complex by the 9:30 Club, I am side eyeing you. Hard.